A short drive away from Aspen Manor Motel, fascinating new exhibitions emerge at the Waikato Museum this summer. Hamilton East accommodation provider Aspen Manor Motel is your home away from home. The centrally located motel is within proximity of several tourist attractions in Hamilton which makes for an effortlessly enjoyable travelling experience. 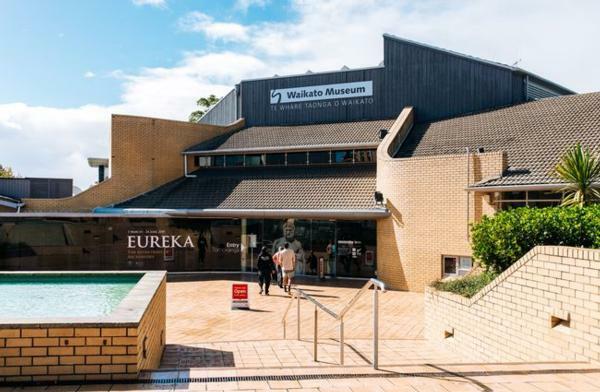 Situated on the banks of the mighty Waikato River, the Waikato Museum is known for showcasing Aotearoa’s cultural heritage. Whether you choose to take a short five-minute drive or even a 15-minute walk from Aspen Manor Motel, visiting this iconic attraction must be on your to-do list this summer. With plenty of new exhibitions coming up, it’s the ideal time to immerse yourself in Kiwi history and cultural arts. Inspired by beloved Kiwi author Katherine Mansfield’s short story, “The Garden Party” exhibition has just opened up to the public. This exhibition accompanies the recent launch of the new “Mansfield Garden” at the Hamilton Gardens which has been a hit with both locals and visitors from outside of Hamilton. Coming soon to the museum on 7th December is the “Infinitely Varied” exhibition which will feature prize-winning New Zealand landscape paintings from the Kelliher Art Competition that was held between 1956 and 1977. This exhibition projects the beauty of the natural environment in Aotearoa and features the works of honourable artists such as Peter McIntyre and David Barker. Another incredible exhibition to look out for is the “50 Greatest Photographs of National Geographic”, which is set to open on 22nd December. This exhibition features fifty of National Geographic’s most outstanding images that have been published on the magazine in its 120 years of existence. The focus of the display is sharing fascinating stories from around the world by using iconic photographs. All staff at Aspen Manor Motel will be delighted to host you, in the heart of Hamilton East, Hamilton and in close proximity to many of Hamilton’s key attractions and amenities. Offering friendly, professional service, in a central location, you will not want to stay anywhere else in Hamilton. Aspen Manor offer six room types to fit all of your needs.